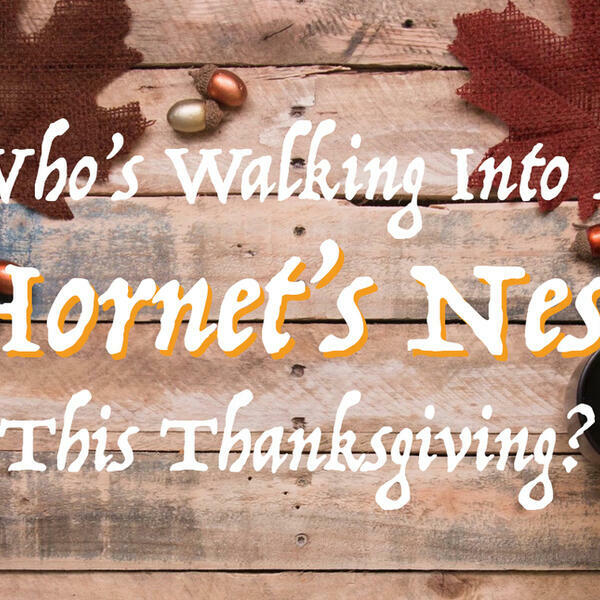 Audioboom / Update: Who's Walking Into A Hornet's Nest This Thanksgiving? Who knows that they are walking into a family hornet’s nest over Thanksgiving? You know, family tension’s been brewing all year for whatever reason, and it’s all going to come to a head at on Turkey Day? From the listener whose fiancé was meeting her divorced mom for the first time (and dad was making a surprise visit) to the listener who was coming out to her super religious family - we get the updates!